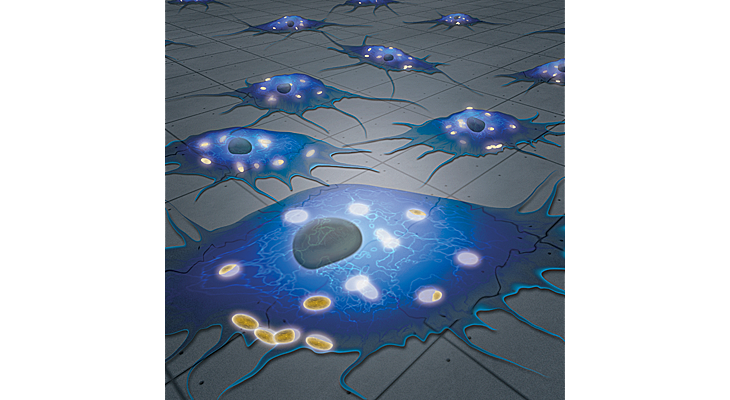 Richard's work recently featured on the front cover of the Journal of Materials Chemistry (B). 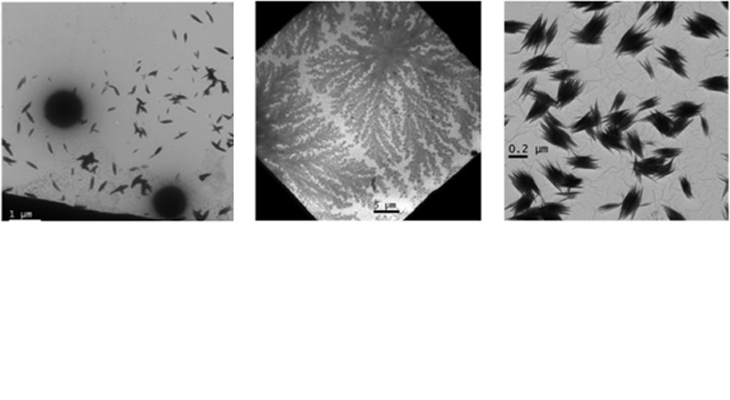 This work described how it was possible to modify the surface of calcium phosphate crystals, so that we could monitor what happens to them as they cross the cell membrane. Mechanical stimulation imparts critical signals that influence musculoskeletal tissue development and biomechanical properties. 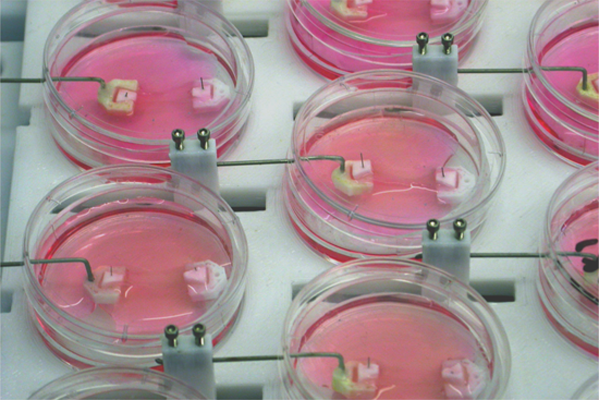 A bioreactor can be used to load the ligament constructs in vitro. 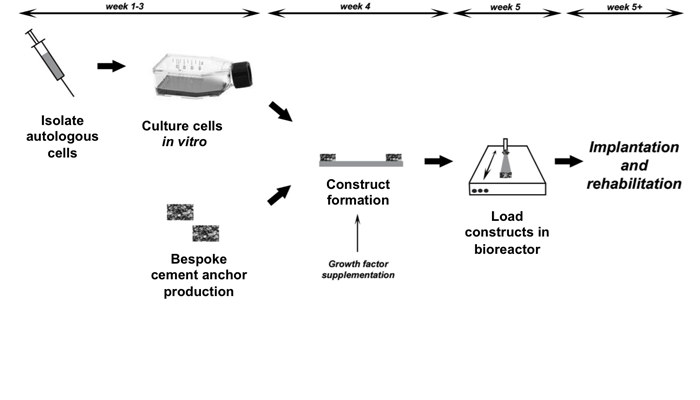 Our current work aims to optimise a mechanical stimulation regime to augment graft properties. The collagen accumulation in fibrin-based tissue-engineered ligaments can be augmented using promoters of collagen synthesis. Our current work aims to optimise collagen production in vitro using AA+P and other collagen synthesis promoters. The collagen accumulation in fibrin-based tissue-engineered ligaments can be augmented using promoters of collagen synthesis. By supplementing the ligaments with ascorbic acid and proline, we can increase collagen deposition and mechanical properties of the grafts. Our current work aims to optimise collagen production in vitro using AA+P and other collagen synthesis promoters. The TRAILab at the University of Birmingham develops innovative solutions for the regeneration of a multitude of tissues, and works to further our understanding of biomineralisation. We are proud to have worked with both academic and industrial contacts on complex interdisciplinary projects and are continously looking for additional collaboration partners. General queries for the TRAILab may be sent to the addresses below, individual group member's contact details are provided.